All over the world the dimension of Banking has been changing rapidly due to Deregulation, Technological innovation and Globalization. Banking in Bangladesh has to keep pace with the global change. Now Banks must compete in the market place both with local institutions as well as foreign ones. To survive and thrive in such a competitive banking world, two important requirements are development of appropriate financial infrastructure by the central bank and development of “professionalism” in the sense of developing an appropriate manpower structure and its expertise and experience. To introduce skilled Banker, only theoretical knowledge in the field of banking studies is not sufficient. An academic course of the study has a great value when it has practical application in real life situation. So, I need proper application of my knowledge to get some benefit from my theoretical knowledge make it more tactful. In a simple word, Excellence is the Capacity of producing desired result. So, Excellence of customer is, how customers perceive services, how they assess whether they have experienced quality services and whether they are satisfied or not. When it refers to Excellence of customer, we assume that the dimensions of services and the ways in which customer evaluate services are similar where the customer is internal & external of the organization. The topic of the report is “customer satisfaction on repayment Behavior: A case On Brac Bank Ltd”. This topic serves dual purposes, number one is for my learning purpose and another one is, measuring the customers’ satisfaction on repayment Behavior toward Brac Bank Ltd. 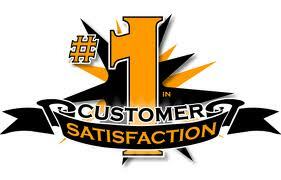 This report describes that in which factors customers are how much satisfied. And also an analysis as well as some recommendations for providing better service to the customers. To have an overview on “Customers’ satisfaction on repayment Behavior” A case on BRAC Bank Ltd.
Find out the possible solution of repayment behavior. 2.1 Research Design: This research is used for finding out the satisfaction level of the customers’ of Brac Bank Ltd and submitting a recommendation making the processing easy towards better customer service for Brac Bank Ltd. This is a descriptive research. 2.2 Research Approach: To find out the level of customer satisfaction on repayment behavior the researcher collected data from the new and old customers who have take loan and repayment from Brac Bank. Not taken any opinion from the loan Brower because there is no similarity between taken loan and repayment. Then the research is qualitative in its approach. This study was conducted by different people who have taken loan. And since 2001 to present approximately there are 85 loan Brower who have taken loan. Some of them are do not provided loan perfectly. As the number of loan taker is small so that the sample size was also small. From those I took 35 loan takers from different place as my sample size, non probability convenience sampling was taken to complete this research. The questionnaire was distributed to that loan taker and the percentage of response is 100%. 2.4 Survey Instruments: A structured questionnaire designed on the basis of Likert scale used for business research is the main instrument of this survey. Primary Sources: Primary source of data is the face to face conversation with the loan taker. They answered the questions which mentioned in the questionnaire. And they wrote their suggestions according to their opinions. A questionnaire was designed for this survey to measure their satisfaction level. Secondary Sources: Annual reports and training, some data which has published and which hasn’t published yet of Brac Bank was the source of secondary data. Internet, newspaper and different websites were also used as a source of secondary data. 2.6 Data processing methodology: Collected data was entered in the research software called SPSS. Using SPSS, Frequency analysis and percentage was calculated for all questions and responses. Finally analysis of total output was used for recommendation. Some loan taker was not sincere because of their time limitation as most of them are businessman. Another limitation of the report is not to disclose some data and information to keep secrecy the Bank policy. Not able to collect information from all the clients. Time was the most important limitation in preparation of the internship report; that was very limited which disable many opportunities for a comprehensive study. Preamble: BRAC Bank Limited, with institutional shareholdings by BRAC, International Finance Corporation (IFC) and Shore cap International, has been the fastest growing Bank in 2004 and 2005. The Bank operates under a “double bottom line” agenda where profit and social responsibility go hand in hand as it strives towards a poverty-free, enlightened Bangladesh. A fully operational Commercial Bank, BRAC Bank focuses on pursuing unexplored market niches in the Small and Medium Enterprise Business, which hitherto has remained largely untapped within the country. In the last five years of operation, the Bank has disbursed over BDT 1500 crore in loans to nearly 50,000 small and medium entrepreneurs. The management of the Bank believes that this sector of the economy can contribute the most to the rapid generation of employment in Bangladesh. Since inception in July 2001, the Bank’s footprint has grown to 26 branches, 350 SME unit offices and 19 ATM sites across the country, and the customer base has expanded to 200,000 deposit and 45,000 advance accounts. In the years ahead BRAC Bank expects to introduce many more services and products as well as add a wider network of SME unit offices, Retail Branches and ATMs and paid up capital of the same bank is Tk 500.million. 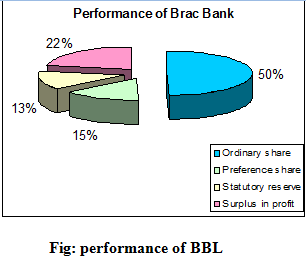 Background of the Organization: BRAC Bank Limited is a scheduled commercial bank in Bangladesh. It established in Bangladesh under the Banking Companies Act, 1991 and incorporated as private limited company on 20 May 1999 under the Companies Act, 1994. The primary objective of the Bank is to provide all kinds of banking business. At the very beginning the Bank faced some legal obligation because the High Court of Bangladesh suspended activity of the Bank and it could fail to start its operations till 03 June 2001. Eventually, the judgment of the High Court was set aside and dismissed by the Appellate Division of the Supreme Court on 04 June 2001 and the Bank has started its operations from July 04, 2001. The Chairman of the Bank is Mr. Fazle Hasan Abed. Now the Managing Director of the bank is Mr. Imran Rahman. The bank has made a reasonable progress due to its visionary management people and its appropriate policy and implementation. Aimed to assisting in the development of the housing sector and meet the demand by efficient use of resources. BRAC Bank will be a unique organization in Bangladesh. It will be a knowledge-based organization where the BRAC Bank professionals will learn continuously from their customers and colleagues worldwide to add value. They will work as a team, stretch themselves, innovate and break barriers to serve customers and create customer loyalty through a value chain of responsive and professional service delivery. “Building a profitable and socially responsible financial institution focused on Markets and Business with growth potential, thereby assisting BRAC and stakeholders build a “just, enlightened, healthy, democratic and poverty free Bangladesh”. BRAC Bank will be the absolute market leader in the number of loans given to small and medium sized enterprises through out Bangladesh. It will be a world-class organization in terms of service quality and establishing relationships that help its customers to develop and grow successfully. It will be the Bank of choice both for its employees and its customers, the model bank in this part of the world. To strive for profit & sound growth. To perform social responsibility for a happy future. To satisfy clients by expert-oriented service. BRAC Bank Ltd has in total 900 unit offices, 80 zonal office, 12 territory and 1800 Customer Relationship Officers. These CROs work for the Bank to converge clients for getting the SME loan. Once CROs get the loan application and if it is less than 500,000 TK then zonal officer has the authority to approve the loan. But if it is above 500,000 then the CROs send it to Head Office for all necessary approval. After approving the loan then Asset Operation Department starts its work. As the scopes of businesses are growing, the amount of files and disbursement is getting bigger. In May 2007, AOD has processed 3249 files amounting Tk. 1,235,200,000. So SME Division’s success greatly relies on the performance. 1. Car Loan. 2. Doctor’s Loan. 3. Secured Loan/OD. 4. High Flyer Loan. 5. Top Up Loan. 6. Credit Card Loan. 7. Study Loan. 8. Teacher’s Loan. 9. Now Loan. 10. Salary Loan. i. Business Condition: The most important task of the CRO to monitor the business frequently, it will help him to understand whether the business is running well or not, and accordingly advice the borrower, whenever necessary. The frequency of monitoring should be at least once month if all things are in order. ii. Production: The CRO will monitor the production activities of the business and if there is any problem in the production process, the CRO will try to help the entrepreneur to solve the problem. On the other hand the CRO can also stop the misuse of the loan other than for the purpose for which the loan was disbursed. iii. Sales: Monitoring sales proceed is another important task of the CRO it will help him to forecast the monthly sales revenue, credit sales etc. which will ensure the recovery of the monthly loan repayments from the enterprise as well as to take necessary steps for future loans. iv. Investment: It is very important to ensure that the entire loan has been invested in the manner invented. If the money is utilized in other areas, then it may not be possible to recover the loan. The loan amount is between Tk 2 lacs to 30 lacs. Loan may have various validates, such as, 3 months, 4 months, 6 months, 9 months, 12 months, 15 months, 18 months, 24 months, 30 months and 36 months. The borrower will install a signboard in a visible place of business or manufacturing unit mentioned that financed by “BRAC Bank Limited”. The borrower has to give necessary and adequate collateral and other securities as per bank’s requirement and procedures. SME, BRAC Bank may provide 100% of the Net Required Working Capital but not exceeding 75% of the aggregate value of the Inventory and Account Receivables. Such loan may be given for periods not exceeding 18 months. Loan could also be considered for shorter periods including one time principal repayment facility, as stated in loan product sheet. We can see that the status of disbursement & repayment is increasing day by day. So it is hoped that in future, it will be increasing. In terms of World Bank advice, most of the private banks are ready to provide small or micro credit loans to the clients because small loans are less risky than the corporate loan. At the recent trend, many banks like Standard Chartered, Islami Bank of Bangladesh, Eastern Bank Limited, Southeast Bank, Dutch Bangla Bank Limited etc are going to take many aggressive steps in terms of small loan to clients.Standard chartered bank already sent marketing troops surrounding the cities for providing loans and deposits. CITI Bank is going to start retail service business for capturing the market. So competitor’s analysis is important factor to carry out in the long run business for any organizations. Among these banks, many of them have lower interest rates but lots of hidden costs and services. Capital Fund: The authorized and paid up capital of BBL is TK.1000 million and TK.500 million respectively. The paid up capital is one of the strongest in the banking industry. The bank is going to raise its paid up capital in the month September, 2006 by TK.500 million with issuing public share of 5, 00,000 of TK.100 each.